Belts have just been something that I depleted from my wardrobe years ago. They just seemed to be a hassle for me at times. Let’s face it, it takes us women long enough to go to the restroom. We don’t need the extra hassle of dealing with worrisome belts. We’d rather spend our extra time on our hair and makeup. I always had an issue with belts not even fitting me properly. I try one hole in the belt and it was too loose. Then I’d try the next hole and it was too tight. Ugh! Another hassle for me was dealing with a yo-yo weight. My weight has fluctuated so many times over the past several years so I would need a huge collection of different sized belts. That’s not to mention all the different styles and colors I would need too. It just didn’t seem worth it to me. Honestly, I don’t think that women’s belts have even been fashionable for the past several years. However, I’ve been noticing more belts being worn this year so it must be a come back. I recently decided to wear a pair of jeans that were just slightly too large in the waist for me. I usually have to get a couple of sizes larger in jeans for them to fit my thighs properly. This means that the waist is too large for me. I hate tugging and pulling on my pants all the time so I decided that I needed to give in and just find a good belt. I found out yet again that it’s hard to find just a good standard belt for everyday wear. I rarely wear a shirt tucked in so I was looking for a belt that didn’t have such a huge buckle that would make my shirt poke out. The belts I found were either too dressy or just not the perfect fit. Well I eventually found just what I needed and it’s been online this whole time! 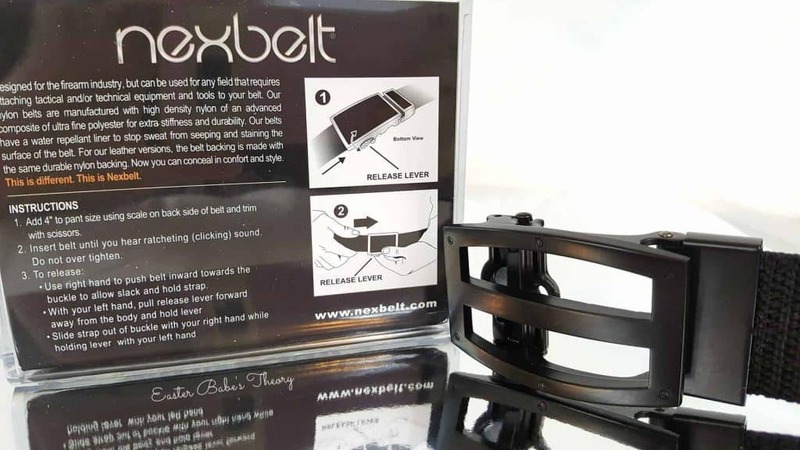 Nexbelt has changed the way I think about belts. 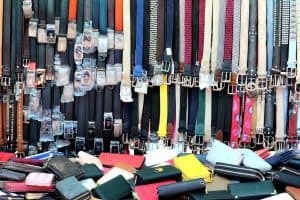 They offer a variety of belts for both males and females. Since their very first sale of the Go-In Golf Series Belt with hidden ball marker in 2011, they’ve come a long way. 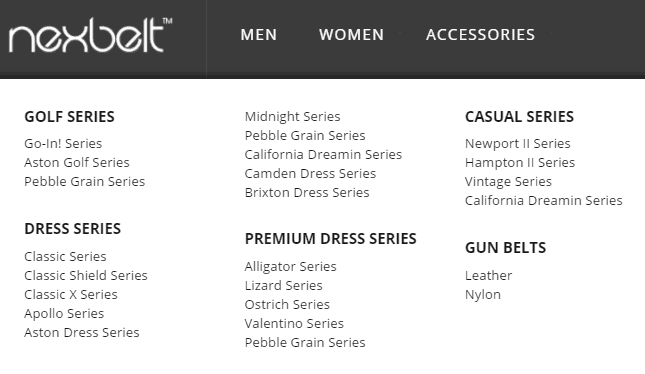 They now offer not only a Golf Series but also a Dress, Casual, Premium, and Gun Series along with other Specialty Belts. There’s also a selection of accessories for both men and women. WHY IS NEXBELT SO UNIQUE? They also have some other great items to offer. But before I get into that, I want to talk about what makes Nexbelt so unique. Their belts have no holes like traditional belts do. I’m not joking! They literally have no holes at all and can be adjusted to fit you perfectly. You no longer have to worry about getting the correct size or be left wondering how long it will fit you. So ordering a Nexbelt online is super easy! Just find the style and colors you want and that’s it. The belts will fit up to either 45 inches or 50 inches depending on what style you want. They will be coming out with belts that are up 67 inches soon. The belt’s feature a patented scale system on the back to help you easily size your belt. You can find your size my either measuring yourself or simply using your current pant size and adding 4″. You then cut the belt at the desired position on the backside of the belt where the scale system is at. Next you slide the belt into the buckle and close securely. The other side of the belt features an integrated strip of teeth on the backside. 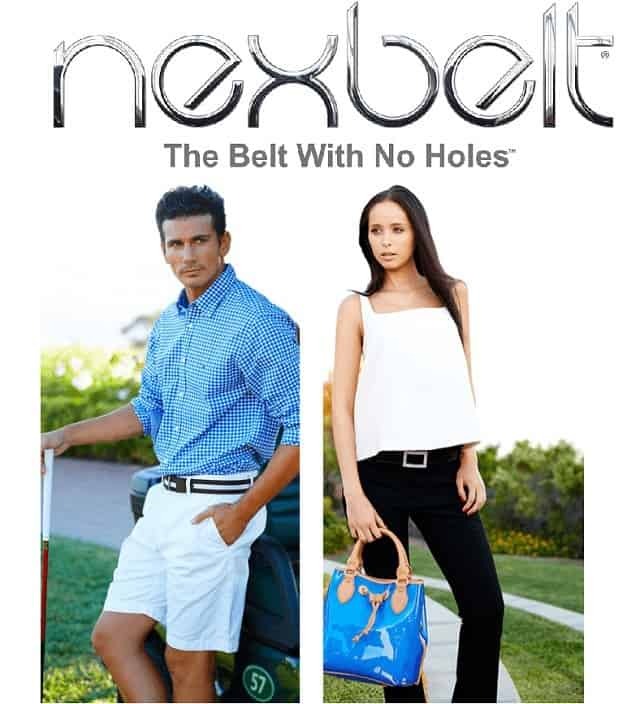 While standard belts allow you to adjust 1 inch, Nexbelt allows you to adjust by ¼ inch for complete comfort. This truly does make a huge difference! The mechanism will grip and hold firmly in the position needed. When ready to wear, you simply insert the tip of the belt into the buckle. You will hear a ratcheting sound as the teeth pass through the mechanism. To loosen or remove the belt, you will simply pull the lever on the buckle and slide the belt out. Of course to loosen, you just gently slide it out as much as needed and the mechanism will catch back on to the next position until you stop. There’s no need to pull the entire belt out of the buckle. There’s been so many times that I went out to eat and got so full that I couldn’t wait to get home to loosen my pants and belt. With this belt I no longer have to worry about it. I can easily loosen the belt anytime, anywhere. Yes, I can loosen my belt right there in the middle of the restaurant! How amazing is that?! It practically takes no time and no effort. That’s great for us ladies! Now back to the other types of belts and accessories that are available. There’s a ton of different belts to choose from. Some examples are Alligator, Ostrich, and Canvas/Nylon, amongst many more. You can choose a belt that already has a buckle or you can purchase them separately. Some of the belts buckles are Golf, Dress, Casual, Motorsports, PGA, Faith and more. These come in all types of different metals. They even have some rhinestone buckles for women. There’s absolutely a huge variety so you are sure to find something that you like. So what type of belt did I chose? Well, since I have a CCW (concealed carry weapon) permit, I chose from the Nylon Precisefit Gun Belt Series. I decided on a basic black belt with a black buckle so I could wear it with or without my gun when needed. I really love the low-profile buckle. Like I said before, I don’t really show my belt as I never fully tuck in my shirts. So this basic belt seemed like a perfect fit for me. 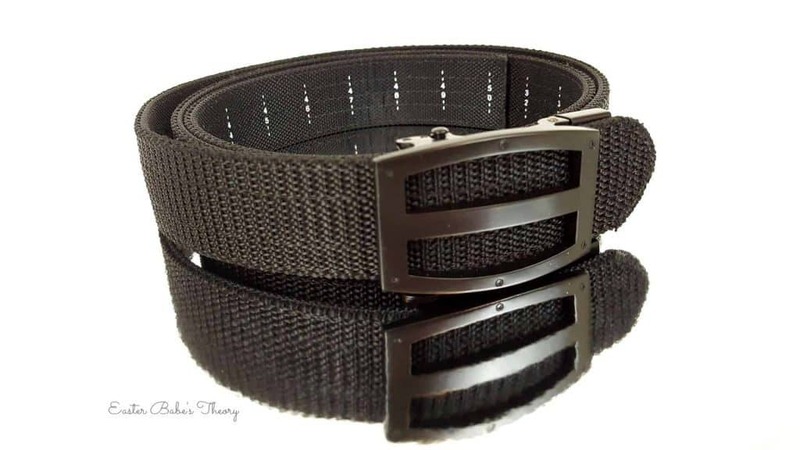 This is listed as a man’s belt, however, it seems versatile to me as it’s perfect for what I need. I can always get a girlie buckle with rhinestones to make it more feminine. I’ve always carried my gun in purse but I’ve been wanting to wear it on my hip at times. 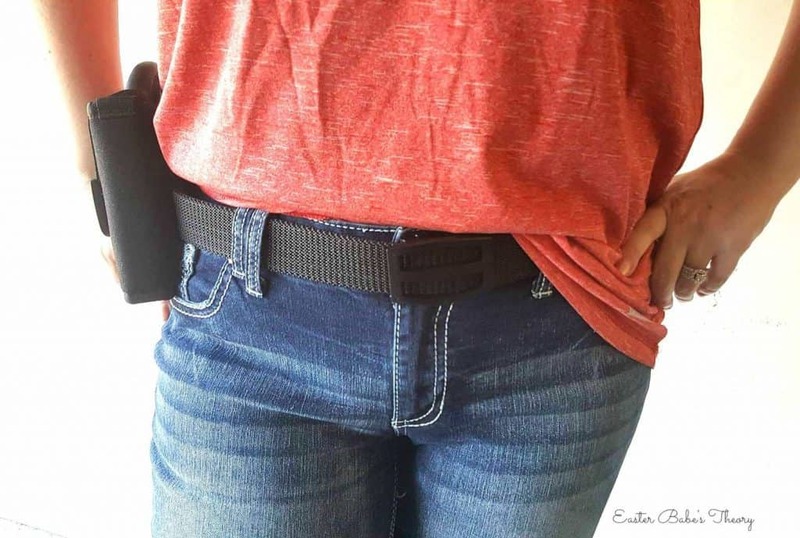 This belt is designed to carry extra weight whether it’s a gun, knife, or flashlight. The strong nylon straps are made of a super-high density microfiber material. This stiff material is what makes this belt perfect for my sidearm. 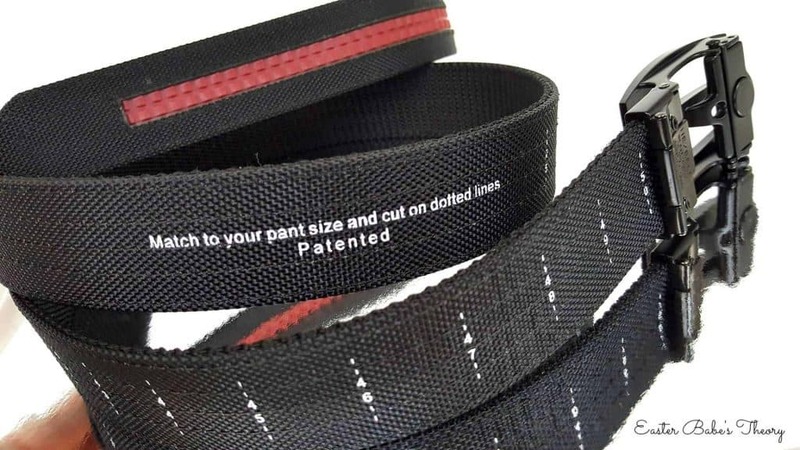 The center of the belt strap has a rubber liner which resists sweat from penetrating to the outer surface. So far this belt has been great as daily wear and light gun carrying. I love being able to easily adjust the size of the belt as needed no matter if I gained or lost weight. 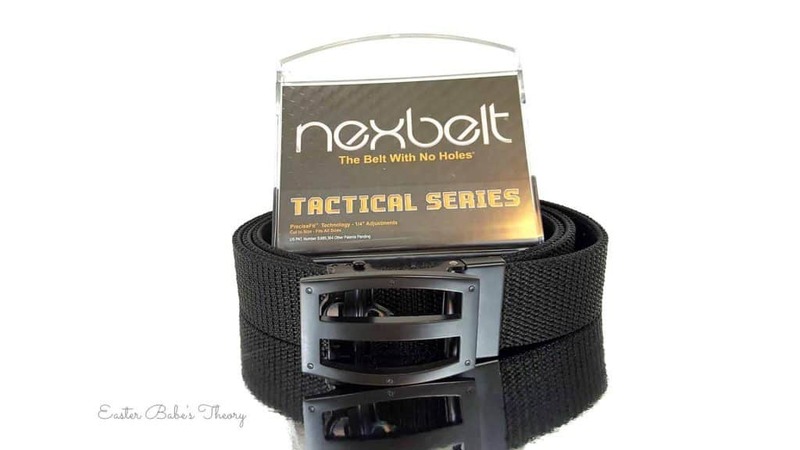 Nexbelt has some amazing belts for just about any occasion. Whether casual or dressy, you will find the perfect style and color from the vast selection. As for the Gun Belt Series, they are excellent whether you are a daily gun carrier or just want to wear it as a casual belt. The belts are much easier to get on and off versus a standard belt with holes. They are also easily adjustable to fit comfortably. Some photos are courtesy of Nexbelt.com. All images are the property of either Nexbelt.com or Easter Babe’s Theory. Please only use these images if you intend on giving Nexbelt or Easter Babe’s Theory credit. Please do not alter the images in any way. I received this product to test in exchange for sharing my honest, unbiased opinion. Regardless, I only recommend products or services I use personally and believe will be a good fit for my readers. This post may contain affiliate linking which will also be mentioned at the beginning of the post if so. These belts look awesome! I love how they are adjustable. My son always needs belts because he’s pretty skinny. What a great idea! I should order one for my dad and husband for Father’s Day! I love the design concept of these belts. As a Mom it’s super hard to find the right belts for the kiddos, and even sometimes as an adult. I would love me some belts like that. I mean, let’s be honest. Holes put some kind of pressure on you!!! I have had belts similar to these where you don’t end up putting a hole through the belt. It also means if you gain a little weight you won’t stretch out the holes. Belts with no holes? Absolutely brilliant! It drives me crazy whenever I want to buy a belt and it just doesn’t have enough holes to fit me, nextbelt would definitely solve the issue! These are quite interesting for belts. Will definitely try out a couple of them. Having an adjustable belt for me is a must to maximize the use of it. This looks like a great one. ohhhh i really like this and i need a new belt! These belts are amazing! I have never liked belts because I can never find any that actually fit me without looking silly. I definitely want to try one of these. 🙂 Thanks for sharing! My hubby would love this belt! This is going on his Christmas list! The Nexbelt sounds amazing! There are so many styles and types. I also just found a birthday gift for my son. 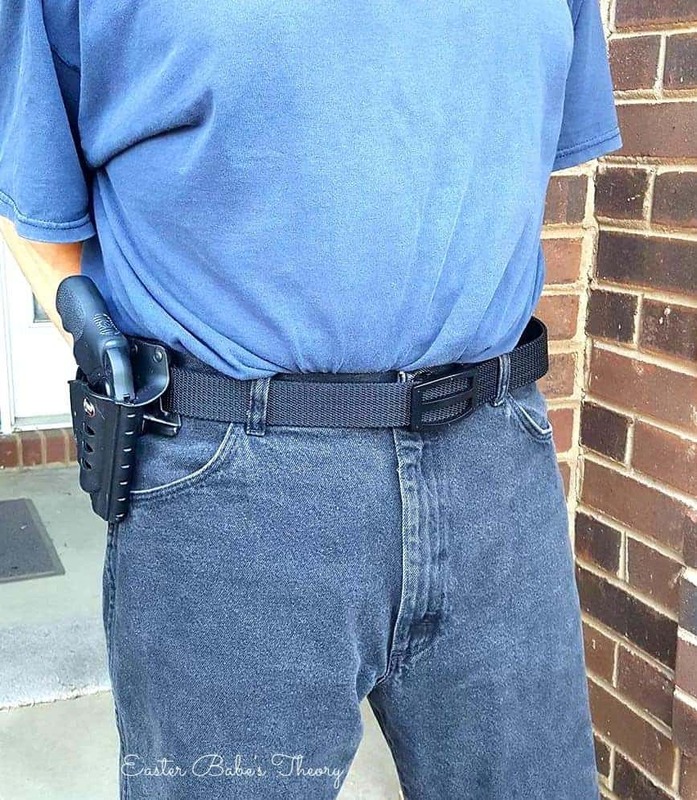 I will get him one of the gun belts since our state is a concealed carry state and lots of people wear holsters on their belts. 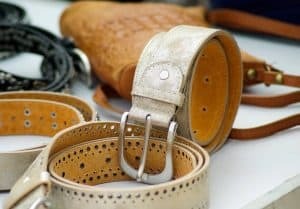 Their gun belts and other belts all look like they are very durable, while still being stylish. Such a clever idea! Products like these solve lots of problems for people. Love this. What a great idea. Everyone has weight fluctuations. Nice to have a belt that grows and shrinks with you! This would be a great gift for my brother or my dad. I am really liking these belts. My guys have a couple with no holes, but I am loving the sparkly ones this brand has. Every girl needs some sparkle in their lives!